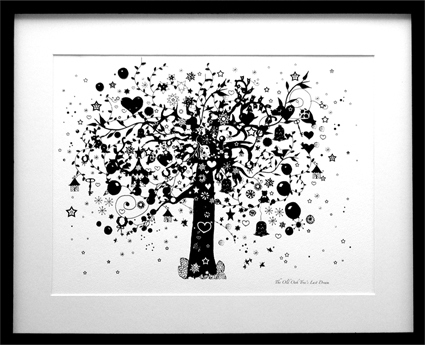 I have something with tree prints, and ‘The Old Oak’s last Dream‘ by Missemai is among my favourites. It has something magic, and is as lovely in a kids room as it is outside of it. Missemai also makes the most beautiful bed-linen, which I love. I have the pink stripy one for Ava’s bed, and it is gorgeous. 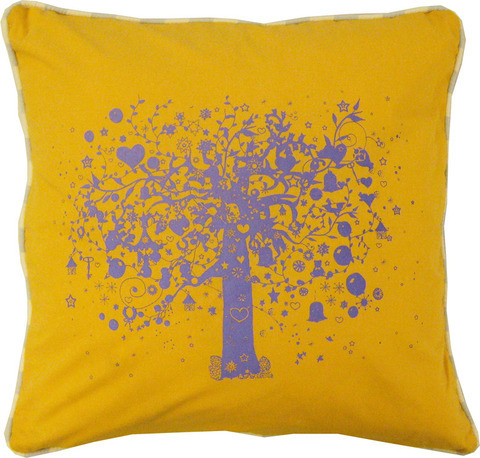 It’s made of a lovely thick and soft quality organic cotton, and the print is whimsical, and again, beautiful in children’s rooms without being childish. I’m now saving my pennies for this yellow (!) Old Oak Pillow… Exquisite!